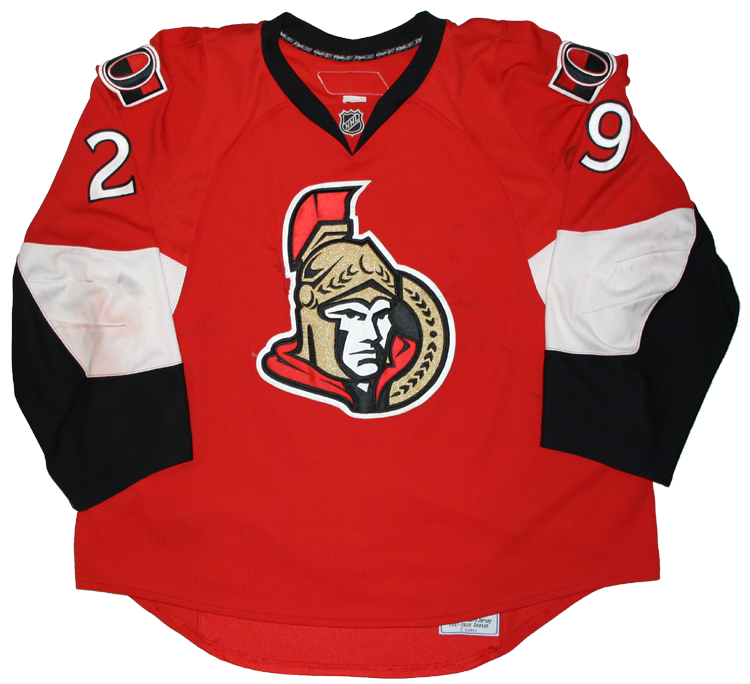 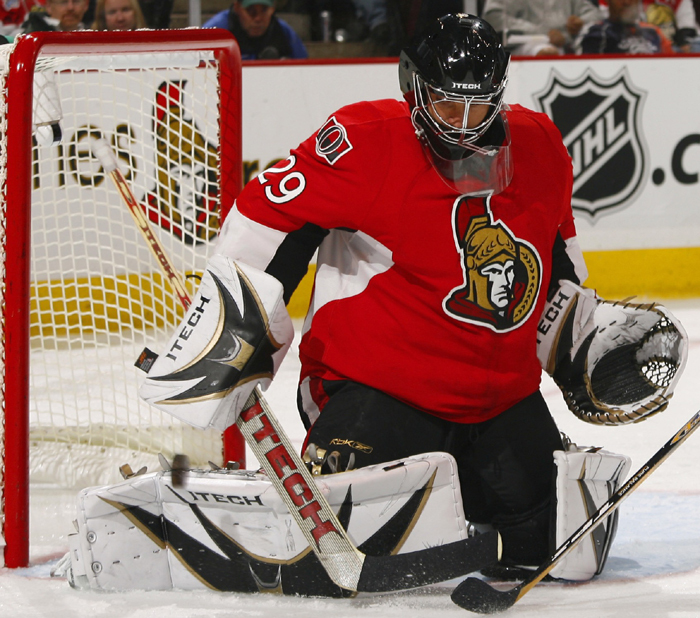 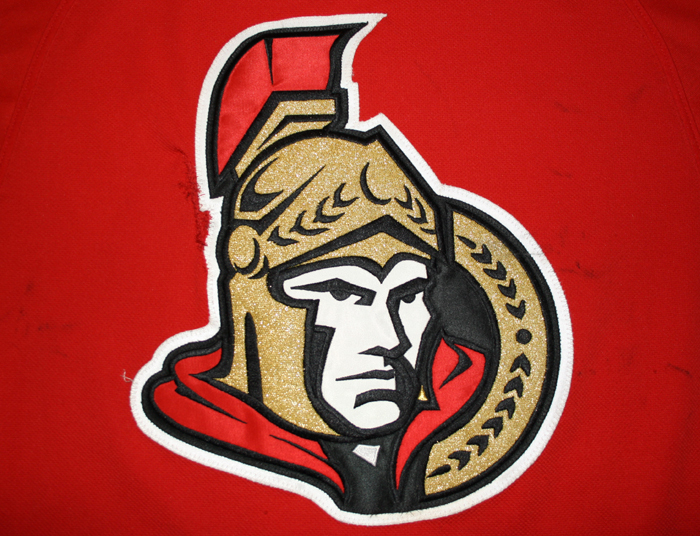 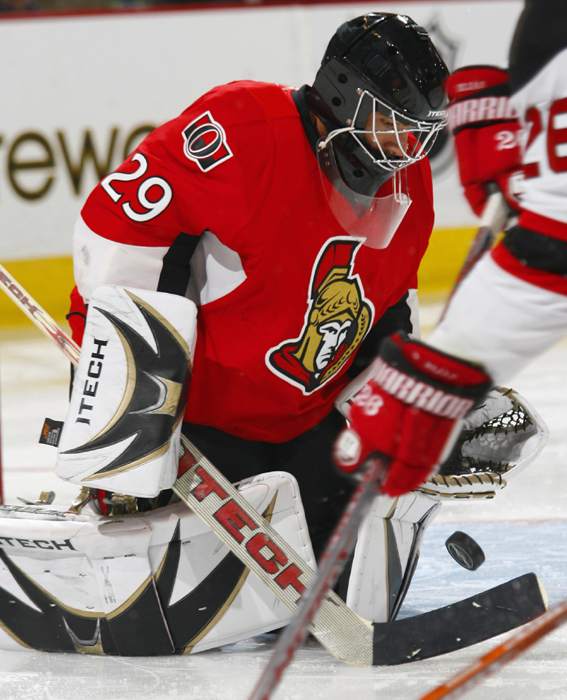 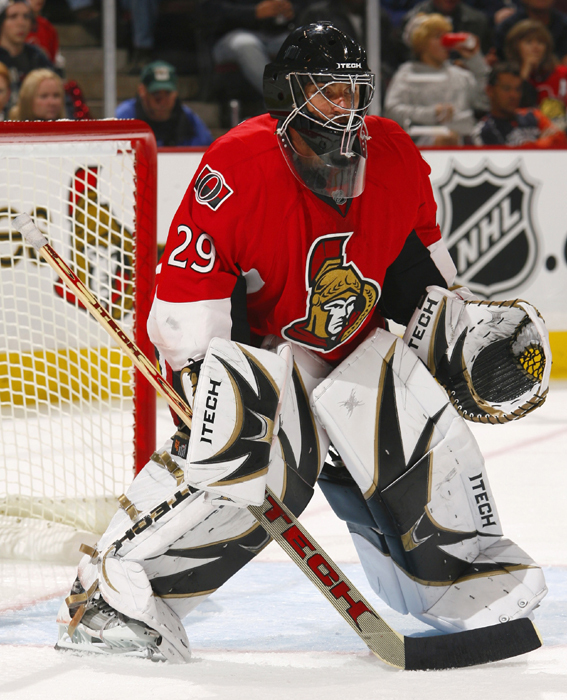 This jersey was worn by Martin Gerber of the Ottawa Senators during the 2007-08 season. 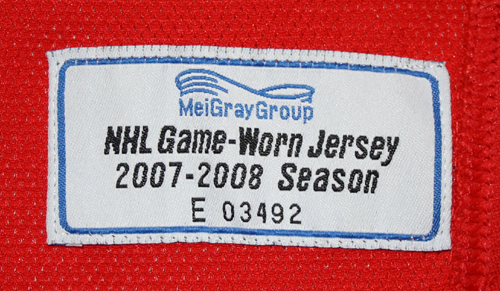 Gerber wore this jersey for 5 games from October 4 to October 18, 2007. 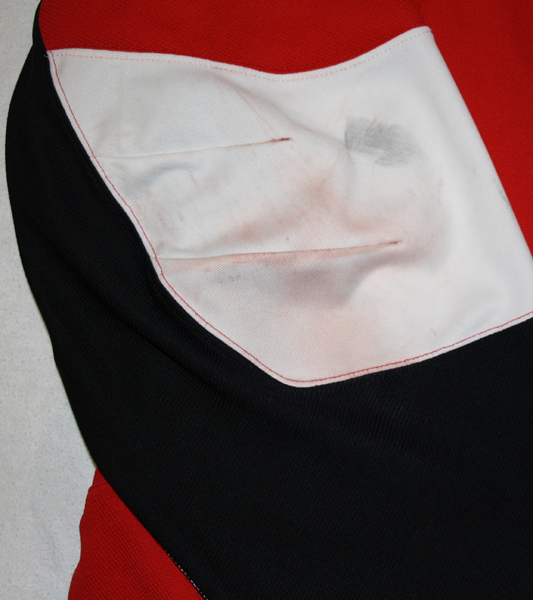 This jersey was also worn during the preseason. 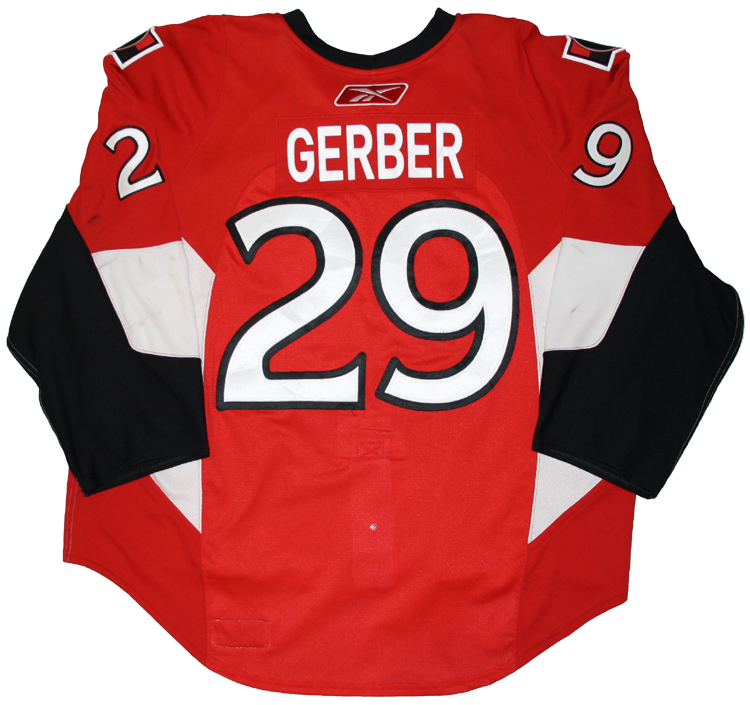 Gerber complied a 4-1 regular season record while wearing this jersey, including at 2-0 shutout victory over the Rangers on October 6, 2007.